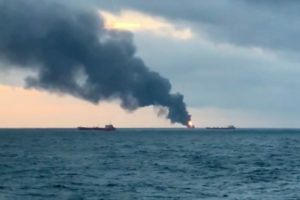 External Affairs Ministry said that on Wednesday a major fire broke out in tow ships in the Black Sea that led to the death of 6 Indians. The two ships were from Tanzania. The people who died are Pinal Kumar Bharatbhai Tandel, Vikram Singh, Sarvanan Nagarajan, Vishal Dod, Raj Debnarayan Pani (from vessel Candy) and Karankumar Haribhai (Maestro), the ministry has conveyed their condolences to their respective family members. There are still 6 Indian nationals who are missing, they are identified as Maestro’s Siddharth Meher, Neeraj Singh, Sebastian Britto Breezlin Sahayaraj, Anandasekar Avinash, Candy’s Rushikesh Raju Sakpal, and Akshay Baban Jadhav. Luckily 4 Indians survived the horrific accident, the survivors are Harish Joi, Sachin Singh, Ashish Ashok Nair, and Kamleshbhai Gopalbhai Tandel. External Affairs Ministry said that the Russian Maritime Agency and Rescue are working to locate those people who are missing. The Indian government is now working and are making arrangements for the dead bodies to be brought back in India, said The Director-General Communication Centre that at the at the Indian Registry of Shipping. The 2 ships involved in the fire had 32 crew members in total, which included Libyans, Turkeys, and Indians. 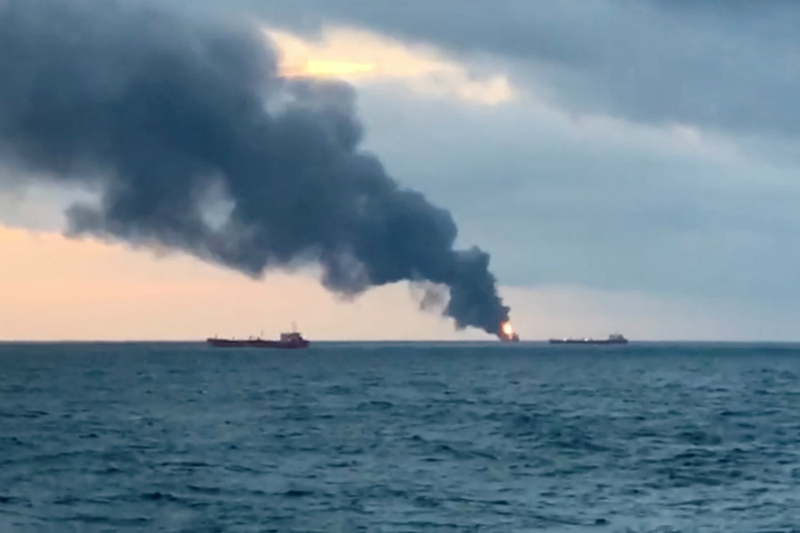 Russian state news agency TASS has said that the fire erupted because of a failure in a pump that is used to transfer fuel between 2 ships, the fire erupted on Monday evening.